As soon as I brought it home, she was all over it. She doesn’t know what she’s writing, but she loves the feel and the sounds and the smells. I think I’ll try to find one for her. Purple, of course! 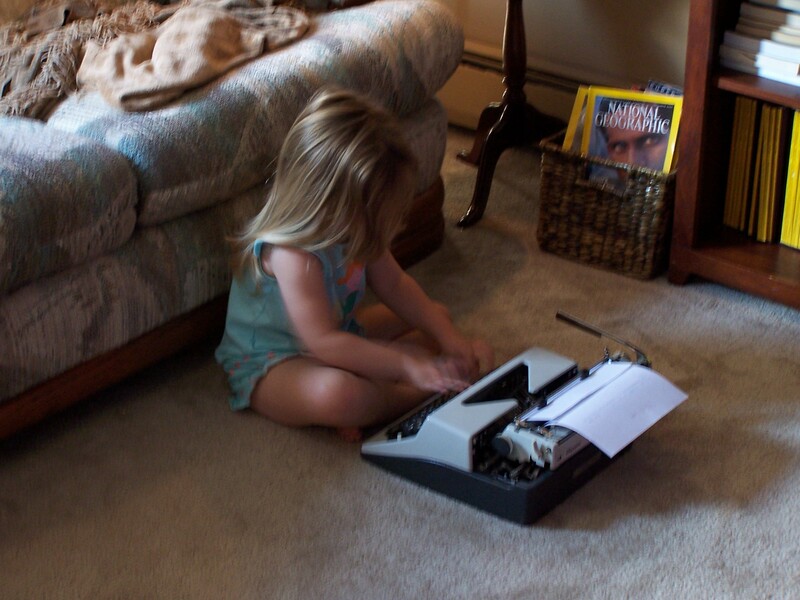 Since I was thinking about trying to enter NaNoWriMo this year, I started thinking about the old manual typewriter I had when I was a kid. 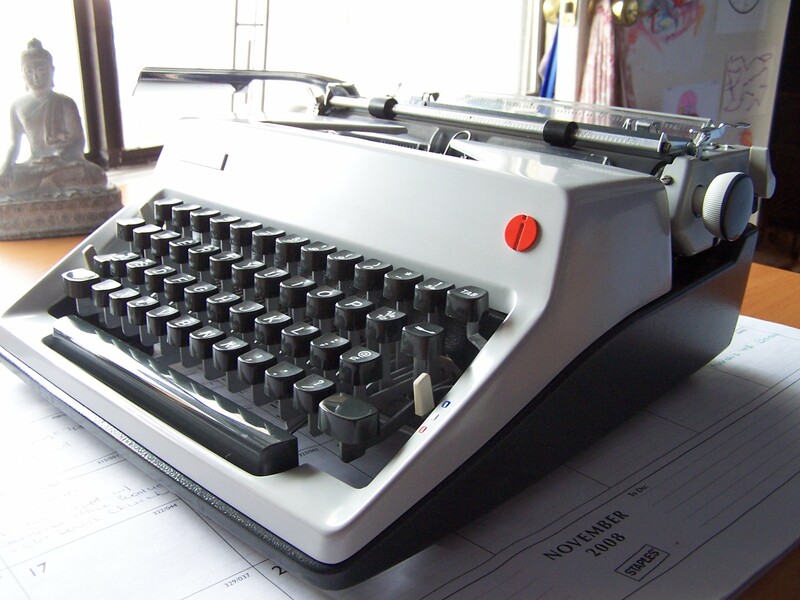 I’m pretty sure it was a Smith-Corona from the late 60’s, but don’t quote me. Anyhoo, I started looking around the Interwebs and lo and behold! I found that manual typewriters have a small but fervent following. Long story short, I ended up buying a 1971 Olympia SM9 portable manual machine. For $13! I just recently had it serviced by Cambridge Typewriter Co., and she is sweet! (yeah, she’s a lady). Next thing I know, I’m daydreaming about typewriters at work, constantly looking at listings on eBay, buying typewriter paper, and gearing up for a crack at NaNo. I think I have a new obsession on my hands.